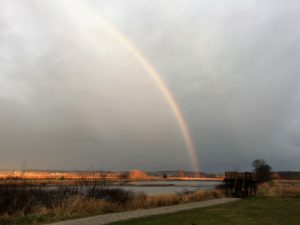 Ohio Birding Drives are routes for birding trips which can be accomplished in one day, stopping to walk and bird at various eBird hotspots. 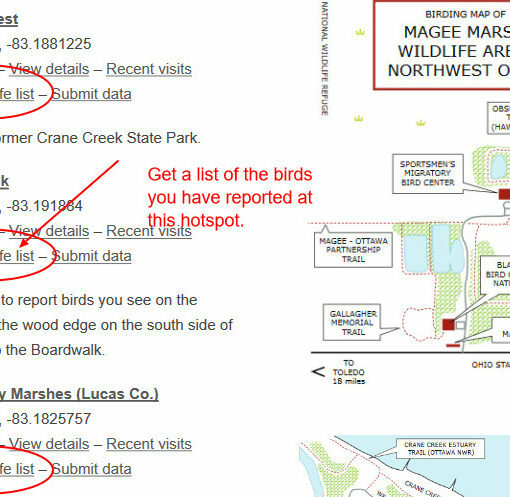 For each Birding Drive, a Google map is provided with the route and suggested stops at eBird hotspots. You may save the link to the Google map on your smartphone or tablet, or print a copy on paper to take with you. Links are provided for each eBird hotspot. Follow those links for information about birding each location. Birders like to bird close to home and, naturally, the counties with higher populations in Ohio have many more checklists submitted. We have developed Birding Drives for “lightly birded” Ohio counties so that when your travels take you to a different part of the state you might add to the data about birds all across the state. There is at least one birding drive in each Ohio county and in many counties there is more than one. Visit Ohio Birding Drives for a list of all the birding drives in each county.